Another tape from Shake! This one is a split, which means that - well, it means that we haven't listened to the a-side, quite frankly. 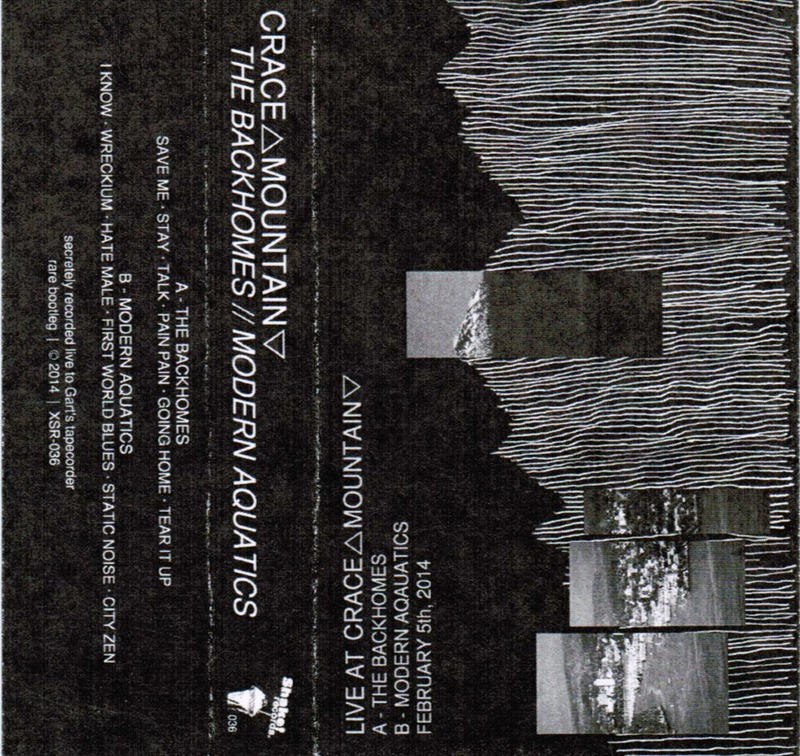 We fast-forwarded straight to side two to hear the dreamy pysch-pop of Modern Aquatics. These guys bring together players from a bunch of our recent faves: Gold, Seahorse, Faux Fur and... uh, La Luna. Okay, that last one is a weird fit, but we can totally get behind what they're doing. We can also get behind this tape, which is a passable recording of a basement show they played in Nanaimo (along with the other band featured on here, Victoria's The Backhomes). And, yes, it looks like you can get this from Shake's webstore.